As part of its attempt to start a dialog with China on strategic issues, the Obama administration believes it is important to engage China on space and space security issues. Despite signs of interest by Chinese officials, administration officials are frustrated by the mixed signals they are getting and the lack of progress. In fact, the two countries are stuck in a bind: the situation has become a Gordian knot that the Obama administration can only cut through by taking steps beyond the timid ones it has so far apparently considered. Understanding the current situation requires some historical context. Following the speech, a group of scientists and engineers convinced Chinese leaders that President Reagan’s speech would launch a “new Apollo program”—a massive investment in new technology focused on space with important scientific and economic spinoffs. They were concerned this could leave China far behind if China failed to respond. In their letter to Chinese leader Deng Xiaoping urging him to make a comparable strategic investment in space technology, these scientists warned that China was in danger of becoming a second-rate world power. Moreover, they argued China must make this kind of long-term commitment to ensure a seat at the table—or “a place for a mat” (一席之地) as the Chinese saying goes—for China in space. In response, China’s political leadership committed a large sum of what were, in the mid-1980s, very limited domestic economic and technical resources to building the human and technical infrastructure to establish a credible space program. Chinese commentators often compare the Shenzhou program—China’s human space flight program—to China’s nuclear weapons program. Western observers tend to hear this as reflecting China’s interest in the military utility of space technology. But this comparison instead reflects a long-running internal Chinese discussion about national status, international respect, and technological prowess—not military force. China’s broad investment in space technology in the 1980s included funding for military space programs, most notably the hit-to-kill technology demonstrated in its 2007 anti-satellite (ASAT) test and 2010 missile interception. China had been observing U.S. and Soviet missile defense and ASAT tests since the late 1960s, so it is not surprising that it began a similar development program. That program progressed slowly with moderate funding, and the technology reached the point of testing only in the last few years. China’s initial investment in space faced two considerable obstacles: limited access to space technology and an even more limited supply of qualified scientists and engineers. The Cultural Revolution (1966-1976) had devastated the China’s intelligentsia and higher education, as well as its economy. China overcame its resource limitations by importing foreign space technology and expertise. This step was always conceived as a stopgap measure and not a permanent feature of China’s space program. The growth in size and capability of China’s space sector in recent years has virtually eliminated its previous incentives for cooperation in space. China has less concern that it is falling behind, or that its national survival or international status is in danger. China no longer needs to import foreign technology and expertise. Moreover, many of the scientists and engineers in China’s space sector believe they make more rapid progress by pursuing a policy of self-reliance without the complications of joint programs. As a result, a significant number within China’s space community actively oppose increased international cooperation or is disinclined to support it. In addition, many in China’s space community resent U.S. policies, such as China’s exclusion from the International Space Station, export controls that have severely restricted China’s ability to participate in the international launch services market, and highly restrictive visa policies for Chinese space professionals. 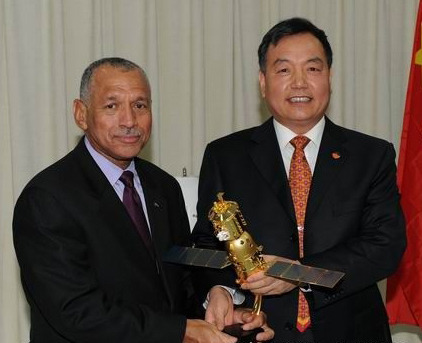 China’s space scientists and engineers are content with the status quo. Any impetus for change will need to come from outside the space sector. Unlike in the past, cooperation with the United States or other countries is no longer valued as a technical or economic necessity. Today, cooperation with other countries in space is likely to take place for political reasons. It will need to be imposed on China’s space sector by the political leadership, and this can only happen if Chinese leaders see cooperation as a high priority. The Obama administration is reluctant to engage China on large or high profile projects in space, preferring instead to take incremental steps toward cooperation in space, as well as toward discussion of space security. Unfortunately, no one in China’s space sector is likely to assign a high priority to these incremental efforts in the absence of explicit directions from China’s senior political leadership Consequently the Obama administration’s overtures are passed down to the officials in China’s space bureaucracy assigned to interact with foreign space entities. These officials are often the least powerful, least informed, and most risk-averse individuals in the Chinese space sector. To be successful, U.S. efforts to engage China on cooperation in space need a specific task or project, somewhere to go together or something to do together. This project needs to be significant enough for the senior Chinese leadership to interrupt the trajectory of China’s current space agenda and direct China’s space planners to accommodate it. For that to happen China’s leaders will need to be confident the United States will carry through on the project. The abrupt end to the agreement to have China launch U.S. satellites in the 1990s is a reminder of the potential political risk to any Chinese leader considering cooperation with the United States in space. Without those two elements, U.S. efforts to engage China’s space stakeholders are unlikely to succeed. U.S. officials should understand that China’s Foreign Ministry is empowered to implement, but not initiate, policy. If there is nothing to implement, there is nothing for it to do but engage in polite conversation. This may be why the Obama administration officials leave discussions with their Chinese counterparts feeling confused and frustrated. The administration may decide it’s not willing to take as big a step as is needed to cut the Gordian knot that’s binding up meaningful engagement with China on space. But it should understand what’s behind China’s tepid response to its proposals.